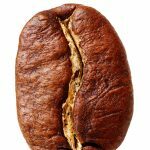 Two of the more exotic words to appear on your freshly brewed bag of coffee beans are Arabica and Robusta, and they are among the first things you should learn about if you’re starting to really get into coffee. The species Coffea, the plant where we get coffee beans from, has a number of different sub-species. The two most popular for brewing coffee are Coffea Arabica and Coffea Canephora. Coffea Arabica, or Arabica for short, is known as a tasty, aromatic and flavorful coffee and is used to grow the majority of high-quality coffee around the globe. To contrast, Coffea Canephora, or Robusta for short, is a cheaper and more highly caffeinated coffee bean that has a harsher and more bitter taste. It is often used for cheaper or instant coffee, is popular in certain countries such as Vietnam and also finds a place as a component of some espresso blends. The big question is… what should you be buying and when? I’m gonna dive into that so keep on reading, also I’ll tell you a cool little fact about Liberia that I didn’t have any idea about before I started researching this article! You know how when you think of elephants you think of those incredible 10ft tall beasts that roam the African savannah? But then you remember those smaller ones with the smaller ears that live in the dense jungles of Asia? …and today we’re going to a have a little lesson on the similarities, differences and usages of each! Here’s a useful graphic of what coffee is grown where. R = Robusta, A = Arabica and M = Both. Arabica coffee is used in the production of most of the world’s coffee – around 75-80%. As previously mentioned, (nearly) all great coffee will be Arabica but not all Arabica coffee will be great. Be wary of terms like ‘100% Arabica’ because it doesn’t necessarily indicate good coffee and often is a marketing coverup of substandard quality. This type of coffee bean is harder to grow. It needs to be grown on high-altitude hillsides that get enough sun but also enough shade. It requires more pesticides than Robusta and is generally less hardy. This makes it more expensive. Arabica coffee is softer, more aromatic and more flavorful. The taste is smoother and far less bitter than Robusta. When I talk on this website about the great features of different types of coffee such as tasting notes of lemon, blueberry, chocolate, and jasmine, I’m talking about Arabica. Trends that began with the Third Wave of coffee have resulted in almost all high-quality coffee beans that are sold being Arabica. 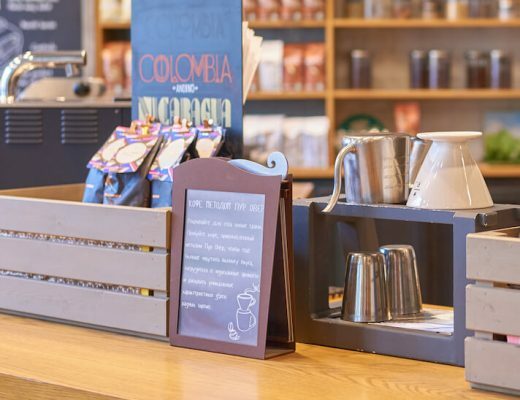 If you buy your coffee from reputable sources such as excellent local roasters or some of the best roasters that deliver from online, you can be assured that you’re drinking only Arabica coffee. It’s worth pointing out that any coffee that advertises itself as 100% Arabica is using it as a marketing ploy. There is bad 100% Arabica coffee and there is excellent coffee that isn’t 100% Arabica. How Does Espresso Fit Into All This? The intricacies of making high-heat and high-pressure espresso is so different from other ways of making coffee that even the type of coffee beans used are not the same. A typical espresso blend contains mostly Arabica and some Robusta, say 80% to 20% as an example. You’ll often see bags of coffee which specifically state ‘Espresso Blend’ on them. This is advertising that it is made for espresso and generally is not 100% Arabica like most coffee beans that are sold for brewed coffee. This is particularly true of European espresso blends. Using just Arabica for espresso can result in a thin and watery shot that tastes weak and feels under-caffeinated. Adding some Robusta improves the texture of the espresso, imparting a thick, velvety crema and also a small boost in caffeine. This is not an iron-cast rule, however. There are plenty, generally more modern, espresso blends that are only Arabica. 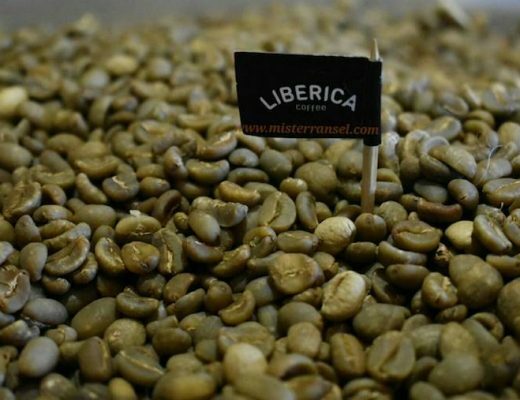 Robusta makes up about 20-25% of all the coffee produced across the world. Its trademark is its bitter, burnt and highly caffeinated taste. A taste that puts a lot of people off. The high caffeine content acts as a natural insecticide and anti-microbial agent which improves the efficiency of farming and makes it cheaper to buy. For this reason, Robusta is often found in cheap coffee that has been dark roasted to destroy the taste of the bean or in jars of freeze-dried instant coffee. 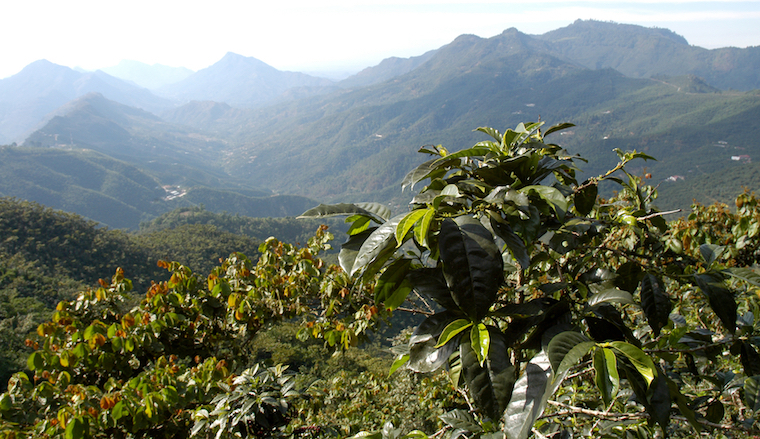 Robusta hit a highpoint in the second half of the 20th century where for a number of factors the more easily produced robusta was more readily available. Chief among them being the scarcity caused by WW2 and the drought and frost that wiped out the 1954 coffee harvest in Brazil. Cheaper and stronger coffee was in demand and that was what consumers got. Even today, the easier growing conditions of Robusta coffee mean it is about a half to a third as cheap as Arabica. The poorer quality of the Robusta beans was cleverly countered by many roasters who used a dark roast where the excessive burning and heat killed the natural flavor of the beans, leaving a smoky, charred taste which many people came to love. These days it is produced more in developing countries such as Vietnam and the Phillipines. It’s held and processed in lower quality ways, further lessening its taste and reputation. One interesting aspect of Robusta is its use in espresso. 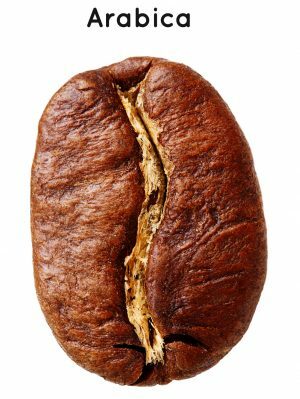 The coffee bean is highly caffeinated and produces a rich and thick crema when used for espresso. 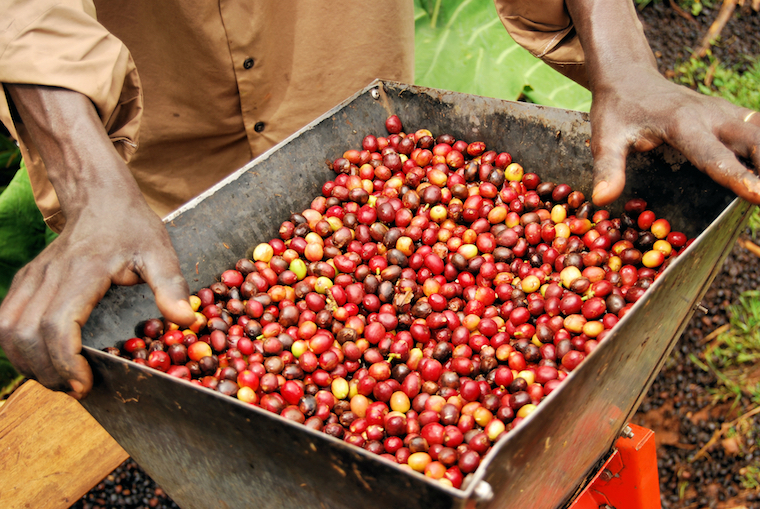 Despite its poor reputation in terms of taste, high-quality Robusta is produced, sold and enjoyed. The flavor profile of good Robusta is roughly similar. You can expect earthy, smoky and burnt flavors as well as a strong caffeine hit and none of the fruity, brighter flavors that Arabica has. It’s definitely an acquired taste. But when farmed and processed well a good Robusta can easily stand up to many Arabica coffees. If you’re interested in trying some decent Robusta I can give a few places to begin. Just do bear in mind its burnt taste can be overwhelming! Death Wish coffee is a modern brand that sells itself on being the strongest (i.e. most caffeinated) coffee you can buy. They use primarily Robusta, it’s the only way to get the caffeine content that high! Ebay is great for buying unroasted coffee beans. Typically the Robusta coffee beans will come from big producers of Robusta like Vietnam, India or the Phillipines. I’m not hugely experienced on particular coffees but I’ve heard the Dalat Peaberry is up there with the best. 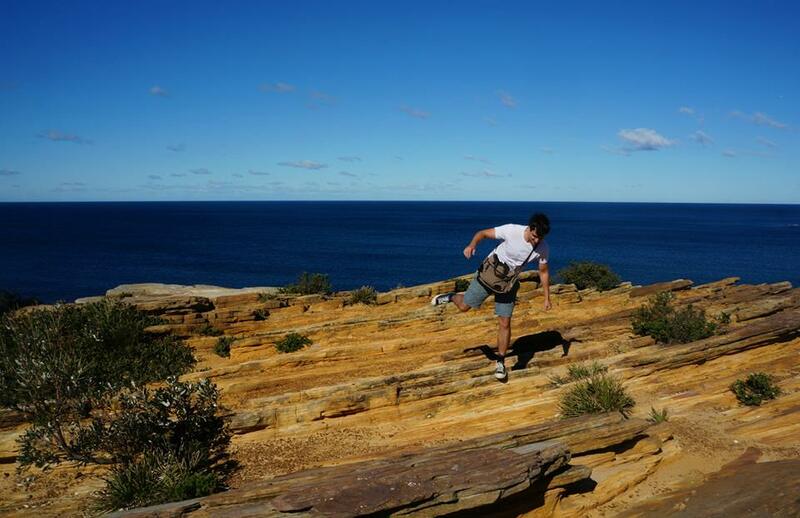 You’ll need to roast them yourselves but that’s a whole world of fun you have to explore! Are There Other Species Of Coffee? There are actually over 200 identified species within the genus Coffea and a few of them are sold and made into coffee. 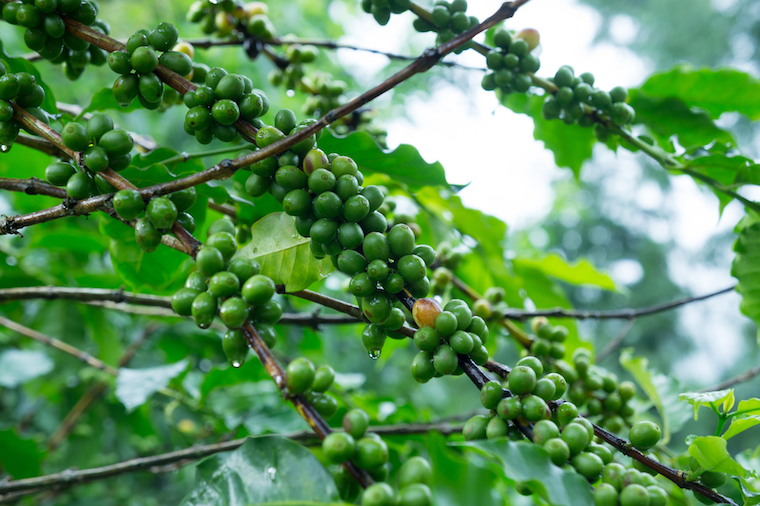 This species of coffee was discovered in Liberia in 1943 – hence the name – and has achieved some popularity in East Asia where it suits the growing conditions. In Malaysia, it makes up most of the coffee that is grown and sold in the country! I’ve never tried it myself and there’s little information about it online – in English, at least – so I won’t describe it too much. I have heard the taste is pretty nice though, a big step up from the burnt tire taste of Robusta. Safe to say, an interesting one to keep in mind, particularly if you like to roast your own beans. There are sellers on ebay if you fancy the challenge. If you’re on a binge of learning about coffee and coffee beans then you’re in the right place, my friend. 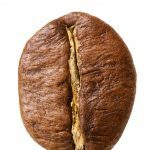 Let me link you to a few articles that will cover all the mains areas of coffee beans to a fairly in-depth degree. 2. 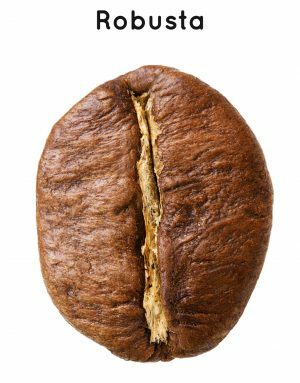 How Long Do Coffee Beans Stay Fresh? 5. 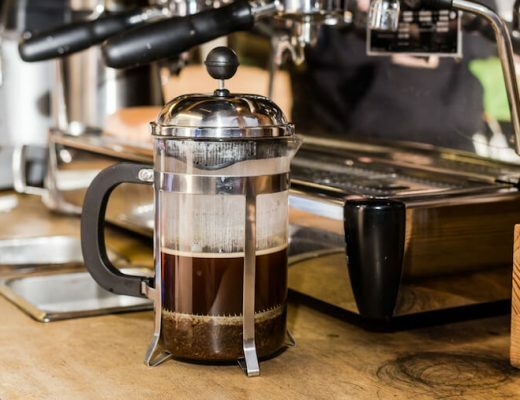 What Is The Most Important Thing About Brewing Coffee? – In a nutshell, Arabica is for brewed coffee and Arabica with a bit of Robusta for espresso. – To be honest, there’s a lot of information here but you don’t really need to know any of it to make good coffee. It’s the roaster’s job to worry about choosing the right type of beans, not yours. You just need to worry about finding a good roaster. – I knew very little about Liberica before I researched and wrote this article. Have any of you tried it? I’d love to hear an opinion on it. – Still stuck on what beans to buy? I’ve got you covered. First stop should be trying to find a quality local roaster. Failing that, there’s lots of easy and good coffee bean options on Amazon or one of the many Third Wave online roasters.